With Jean Grey (Famke Janssen – Goldeneye) now gone, Logan is living an isolated life in the wilderness, haunted by the visions of his deceased love. 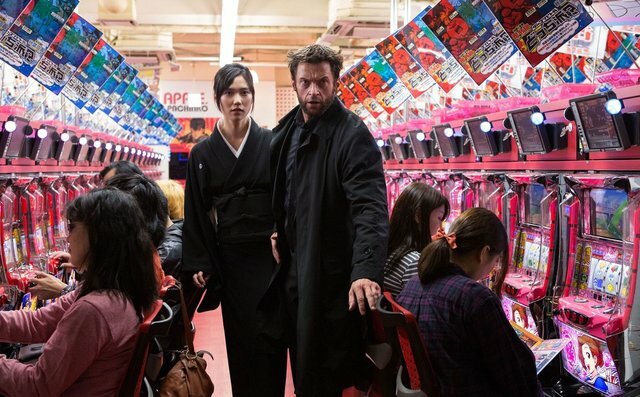 He is tracked down by a young woman named Yukio (Rila Fukushima) who extends Logan an invitation from her master to come to Japan. Yashida (Hal Yamanouchi) was a Japanese soldier that Logan rescued during a World War 2 raid and now, on his death-bed, wishes to thank Logan before he dies by giving him the one thing he needs – his mortality back. 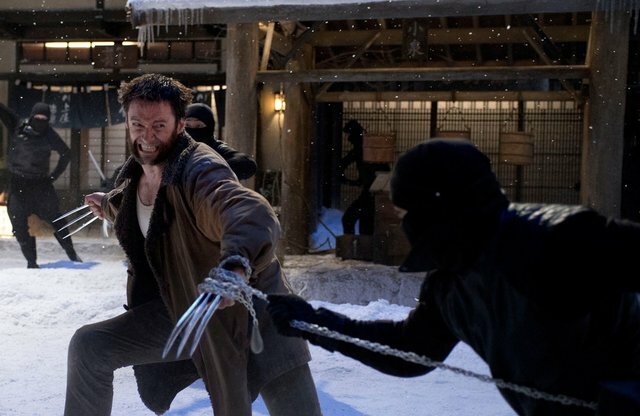 The Wolverine is a great thrill ride that sits after the events of X-Men 3. It’s full of amazing action, spectacular set-pieces and involving characters that hook you from the start and gives Logan his most defining chapter to date. With a more mature vibe and amped up violence, this is the truest depiction of the character we’ve seen and gives us a slightly darker story to revel in. Leading the line is Hugh Jackman who excels yet again as The Wolverine. Impressing every time he dons the claws, Jackman already owns the character and his portrayal is both accurate to the source material and always genuinely fun to watch. Not having to worry about the evolution of the character (this is Jackman’s 6th outing as Wolverine) means the film makers can concentrate on giving Logan a great story to get his claws into. The Japan-era of his journey is full of great characterisation and events that give Jackman a solid platform to deliver a great action film. He more than handles the spectacular set-pieces and his quiet devastation at the loss of Jean Grey, (from the end of X-Men: The Last Stand), means we have a nicely balanced story of regret and revenge. 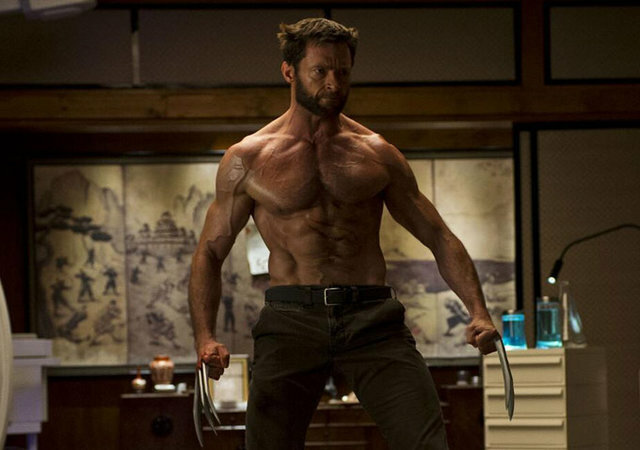 Add in the fact that Jackman looks to be in the best physical condition of his life and you have the complete comic-book package that delivers at every turn. The supporting talent are all excellent with strong female roles defining the story. Rila Fukushima and Tao Okamoto do very well as the central female leads. Both work alongside Hugh Jackman excellently and share great chemistry in differing capacities, one as a fighting colleague and one as a potential love interest. Svetlana Khodchenkova plays Viper, a shadowy villain with gleeful deviousness and it’s great to see Famke Janssen back as Jean, even if she is just a ghost. The film looks wonderful and that’s squarely down to director James Mangold giving The Wolverine a true sense of an Oriental epic. The Wolverine can be classed as a Samurai film and because of that, the action takes on greater significance and meaning. The locations are breathtaking, which in turn leads to some unique action platforms to exploit. The fight on top of the bullet train and the chase through the city after an assassination attempt are prime examples of the film’s scope. Throw in an impressive Silver Samurai and you have compelling action at every turn, mixed with a tragic love story. The film also interjects mild humour well and lays solid foundations for the future path of Logan as a man, The Wolverine as a hero and what role he will play in the X-Men’s future (remember, Jackman and the original X-Men all appear in the sequel to X-Men: First Class, titled Days Of Future Past). For Marvel, Phase 2 is well under way and with Phase 3 mapped out alongside a second and third Avengers movie, they have plenty to whet the appetite. With Hugh Jackman recently admitting during a Wolverine junket that he’d love to fight alongside The Avengers with both Spider-Man and The X-Men (both Wolverine and The X-Men are Fox properties whilst Sony are handling Spider-Man), it seems Marvel still has a big trump card to play. But that’s a legal nightmare that won’t be easy to navigate given that three studios would need to agree on a merger. With plenty of action and great characterisation, The Wolverine is an excellent addition to the franchise. It may not be as different as the film makers intended but it’s still a hugely enjoyable blockbuster and easily one of the picks of the summer. And make sure you stay for the wonderful mid-credit sequence – it brings everything together and sets up a tantalising next chapter for Logan that will get the crowds cheering.